Summer 2019 Class Schedules! 50% off first month for new students! Madtown Twisters has two great Madison locations offering summer camps, birthday parties, field trips, and more! Check out what’s happening. 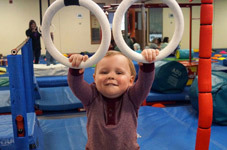 Madtown Twisters offers Parent-Child, Tots gymnastic classes, Trampoline and Tumbling, Open Gym activities, and much more!! Discover why Madtown Twisters is your neighborhood choice for complete family fitness! 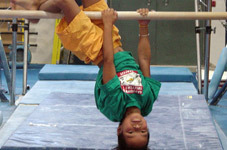 We offer gymnastics classes for ages 3 to 18. 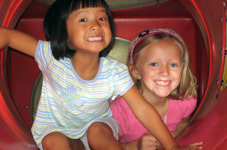 Check out our open gym, summer camps, and field trips at our East and West Madison locations. We have been coaching competitive gymnastics for girls and boys for over 30 years with success at the national level. Learn more. Madtown Twisters offers open gym times for various age groups. Open gym is the perfect time to come and explore. Jump on our trampolines, traverse through our challenging obstacle courses, try out our tumble traks and foam pits, and bounce in our inflatables. Bring a friend or two and you'll be sure to have loads of fun! Have a birthday coming up? What better way to celebrate than with a Madtown Twisters Birthday Party?! We provide birthday party invitations and two great locations. Choose from the Madtown Party or the Open Gym Party! You bring the food and drinks, and we provide the rest. It will be a party you and your friends will not forget!